Maya & Maya, Inc. is a superior fact-finder when it comes to specific claim investigations. We have over 20 years of tested insurance fraud examination and claims experience. We have investigated claims related to product liability, commercial liability, premise liability, bodily injury claims, and claims that are fraudulent in nature and require a law enforcement referral. If a picture is worth a thousand words, then video surveillance is worth a million. Videotaped documentation of a claimant’s activity that falls outside of his/her stated physical abilities can be a major factor in determining the appropriate handling of a claim settlement. No one knows your claim like you do. We begin our surveillance by diligently reviewing the facts of the case with you before gathering additional data intelligence from our advanced database specialist. 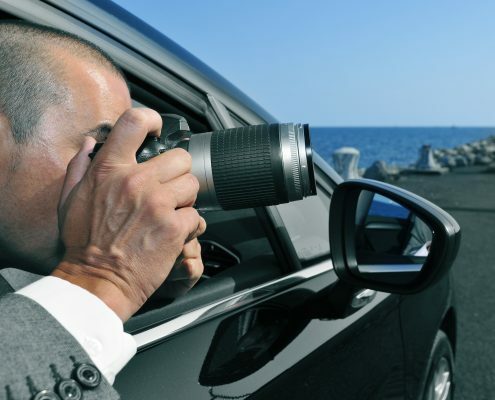 We believe that effective communication, excellent detailed written reports, and quick turnaround times ensure a successful surveillance operation. Before we send an operative into the field, we provide them with the finest equipment that includes state-of-the-art technology, digital cameras, zoom lenses, and even hidden cameras for that discreet video that may be needed inside of stores. Once we are in the field, we have the experience, equipment, and determination to provide you with valuable videotape documentation of the claimant’s daily activities. Maya & Maya, Inc. is in the business of providing peace of mind. We function as an extension of your business with the sole purpose of minimizing your liabilities, and resolving your investigative challenges. We have accomplished this by building a strong foundation of high ethical standards for our company and staff which is comprised of former military, law enforcement, insurance, and surveillance professionals who are committed to providing you with the best possible services. Contact us for additional details and pricing. Flat rates and hourly rates are available.